A deal struck by the UK government with the banks back in December of last year, means that these new basic accounts will now open up access to banking services to those who would otherwise have been locked out of the system. 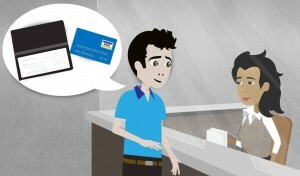 Which Banks Will Be Offering Basic Bank Accounts? According to the BBC, there are currently nine UK Banks and Building Societies set to be participating in the scheme offering basic bank accounts for UK customers. These include most of the bigger banks such as Barclays, Santander, NatWest, RBS, Lloyds, TSB, Nationwide and The Co-operative Bank. These new basic accounts could help an estimated 2 million people in the UK who still do not currently have a bank account in place. In general, people who don’t have a bank account in place tend to pay more for regular day to day bills, as they cannot benefit from discounts offered from companies to customers when they pay for their regular bills by way of a direct debit straight from their bank accounts each month. For those who do qualify for a standard current account, there are still many reminders being issued by news websites and industry bodies, reminding customers that they might well be able to save money – or gain money by way of better interest rates on their savings – if they were to switch their bank account to another provider, who may offer a better account for their personal circumstances. Some reports have suggested that an average customer could save around £70 a year by making the switch. Despite these reports, recent figures suggest that the amount of people switching bank accounts has actually fallen by around 14% in the last year, rather than rising. This may be due to the perceived ‘hassle’ of switching that many people are afraid of, even though the process of switching bank accounts has been made much simpler in recent years due to the introduction of the government’s 7 Day Bank Account Switch Guarantee. What we can see from the above information is that the banking industry is gradually changing and becoming more competitive, especially when it comes to the the day to day banking experience. While most savers would still like to see an increase in the savings rates on offer, this can only be good news for the vast majority of UK banking customers, many of whom would say that this progress is well overdue. Will the new UK Basic Bank Accounts be helpful to you? I have personally closed down my personal account in my country, since it was annoying to pay all those commissions. But I do have an US based account which has less taxes and it’s still in use. I do agree that in many cases, not having a bank account will cost you more, it’s just important to get one that doesn’t have too many fees (like mine did). This sounds like a great program for many people. The U.S. could use something like this.